And the citizens of Baltimore are surprised by this? As one astute commenter at TheBlaze said: Be careful what you wish for… [email protected] Riots in the streets, charging officers with everything they can throw at them, attacking the police force at every turn and attacking the officers themselves… this was utterly predictable. Lynch mobs demanding the heads of cops on pikes because some scumbag dealer dies in a van while hyped up on his own inventory and they are shocked over this? No facts proven, no solid evidence to charge these officers with, but the Mayor and her toadies did so anyway. 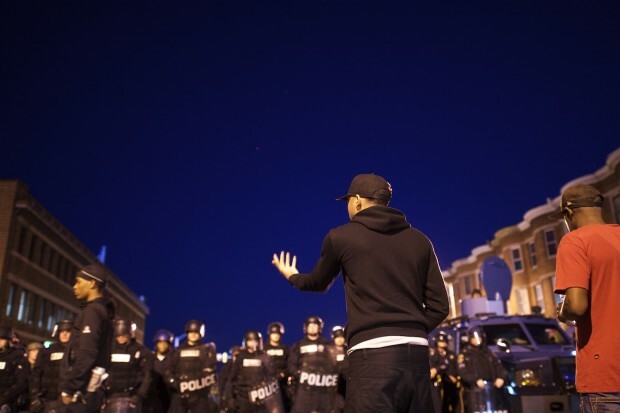 Baltimore’s so-called leadership has destroyed the city, the citizens’ safety and the police force there all in the name of a Marxist political agenda and the oh-so-obvious nationalization of our police forces. BALTIMORE (TheBlaze/AP) — A 31-year-old woman and a young boy were shot in the head Thursday, becoming Baltimore’s 37th and 38th homicide victims so far this month, the city’s deadliest in 15 years. Meanwhile, arrests have plunged: Police are booking fewer than half the number of people they pulled off the streets last year. People were quick to note that Baltimore residents seemingly wanted police out of their neighborhoods before the violence spiked. You don't want the police to police and this is what you get #Baltimore. Maybe Al Sharpton and your little Mayor can start patrolling. The reason we have police in the first place is because our nature is such that we will not police ourselves. Just look at Baltimore now. But Police Commissioner Anthony Batts said his officers “are not holding back,” despite encountering dangerous hostility in the Western District. Before and during the riots, these people demanded that the police go away. Now, they demand they come back, but police them selectively. Screw that. Officers are now being surrounded in their cars by 30 to 50 thugs when they stop. You think these officers don’t fear for their own lives? And when they are not in physical jeopardy, they’ve got the Mayor and the DOJ, led by Al Sharpton, breathing down their necks and threatening them. Tell me how their paltry salaries are worth this? I wouldn’t blame every damn one of them for walking away. Baltimore can rot, most of it already has and the soaring murder spree continues.